Are there any bad side effects of BioMagnet Therapy? Are there any bad side effects of BioMagnet Therapy? Not when used correctly. But if used incorrectly, magnetism can stress a site already stressed. It is a very specific science and must be applied correctly. 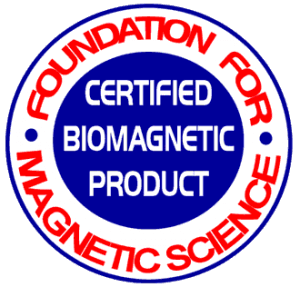 Foundation for Magnetic Science teaches and explains exactly how to place the BioMagnets. In basic physiology, (Dr. Robert Becker, The Body Electric) it has been found that a traumatized site immediately sends a signal to the brain which in turn sends Negative energy to [raise the Zeta potential] heal the site. Bio Negative biomagnetic energy is simply an amplified form of the body’s natural electrical healing energy. When Bio-North Negative energy is applied on the Negative Polarity of the site, the energy supports and increases the body’s ability to reduce swelling and pain. Warning – there are bi-polar and multi-polar pads that are sold for pain relief. Scientifically, when both poles are together, the field emitted will have a 7-14% aggregate of Bio–South Positive energy since it is the expanding pole. Positive (reduced Zeta potential) energy is the body’s weakened energy from trauma or stress. The bi-polar or multi-polar pad’s Positive energy works against acquiring the proper Zeta potential. Positive [Bio-South] energy creates acidity in the blood and increases Positive energy which is the same charge state as free radicals. Using Negative field energy has been shown to help to charge and normalize the alkaline/acidity balances where applicable. It has been found that the Positive field is useful in specialized circuits and sparingly used in normalizing hypo [slow reacting] organ/glands – these issues are shown in the advanced protocols and Magneto-Diagnostics in the “Conquer Pain” Book. When do I stop using BioMagnetic Therapy? What is the history of Magnet Therapy? Magnetism is both leading-edge science and traditional therapy that has been used by the Chinese for 5,000 years. Since then, many cultures have tried magnets with varying results. It is said that Cleopatra had a lode stone (natural magnet) under her pillow to sleep on at night. Paracelsus, a scientist in the late 1400’s, used them successfully with seizures and many other illnesses. In the 1930’s Albert Roy Davis started his investigations on magnetism and founded that Bio North Negative was the healing energy of the body. His work into the Eighties created many of the scientific precepts studied for contemporary applications. Peter Kulish, who studied with Davis, later got an advanced degree in Magnet Therapy from Dr. Richard Broeringmeyer, a long-term partner and colleague of Davis (who ran certification classes through his Institute) and continued working with researchers worldwide to identify the correct the polarities of the body. Kulish founded specific, advanced techniques based on proper polarity placement. His work is used throughout the world. Biomagnetism is being used by many practitioners and consumers worldwide especially in Asia where they have known of the healing properties of magnetism for many years. Magnetic therapy is intended to benefit normal structure and function and is not prescribed as treatment for medical or psychological conditions, nor for diagnosis, care, treatment or rehabilitation of individuals, nor to apply medical, mental health or human development principles. What is BioMagnet Therapy and Zeta Potential? The penetration value is how deep into the tissue the magnetic effect penetrates. It is very simple – if there is a deep tissue condition, the magnet must be strong enough to penetrate the energy to stimulate the cells correctly. For example – when the Foundation’s protocols were used on the woman in a coma with terminal pancreatitis, the Super BioMagnet was used. The Super BioMagnet is twice as thick and strong as other Rare Earth biomagnets [in the marketplace] and its penetration value was the most critical issue about the therapy. The woman was on a trend to terminate within a day or two – instead she woke up in 3 days and left the hospital 4 days later. She was also given the Meridian Energy therapy to stimulate her entire nervous system to help her body’s cellular communication system work better. All BioMagScience BioMagnets are designed to specifically reach the required A-Z penetration values. After a quarter of a century of development, you can be assured the BioMagScience’s BioMagnets have been designed for the proper penetration values to help the body heal rapidly – whether you have pain, chronic illness or an acute condition. What are penetration values – how important are they? Throughout the world, many scientific investigations have and are being conducted continuously to determine the effect of magnetic fields on biology. One can go to Pub Med or Medline or one of the various other web sites such as http://members.aol.com/JBainSI/References.htm or on the Bibliography pages of this site to view many of the tests that have been conducted in Biomagnetism. Is BioMagnet Therapy safe and can it be used with pregnancy? Magnet Therapy, properly referred to as Biomagnetic therapy is completely safe if applied properly – but is not advised with pregnancy as there have been no conclusive studies. The Science of MagnetoBioPhysics or what is commonly called Biomagnetism is a very exacting technology/science. Many magnetic companies think it is OK to place magnets anywhere on the body. Even the World Health Organization has issued a formal statement that static magnetic fields (from hard, non-electric magnets) pose no health risks. But this is not entirely true – the body is made up complex energies that go into the millionths of a volt. Through the years, the body and its cellular voltages (see BIA Test Reports) have been completely tested, analyzed and fully reported in basic physiology. As the laws of physics are very basic, the voltage from an improperly applied magnetic field can stress the cell’s electrical field. These energies and the body’s neurotransmission travel through nerve pathways which run in very specific directions. When using Biomagnetism, it is important to energize through the proper pathways so the energy does not run backwards and stress the area. If you use a biomagnet and the pain continues or increases, generally the application is wrong. Our first concern is to “Do no harm.” and if any pain is experienced, it is better to stop the application and review the therapy protocol as it may be on the wrong polarity meridian of the body. Did you know that one side of the arm or leg has a different polarity from the other side and they are different on each limb (one side is Positive and the other is Negative). Like a car’s battery, you would not touch the wrong connections as it makes a dangerous spark. When you put a magnet on the wrong polarity, it also sparks the cells electricity which stresses the cell (s) rather than healings them. How effective is BioMagnetic Therapy? When applied properly, reports all around the world indicate very quick and outstanding results. 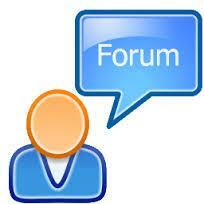 Please see testimonials and research. Testimonial results may not be typical. This information is based on traditional use of magnetism to support health. The information about this therapeutic application has not been evaluated or approved by the FDA. Magnetic products are intended to support general well being and not intended to treat disease. If conditions persist, please seek advise from your medical doctor. With the Institute’s advanced therapy protocols, rather amazing results have happened, such as the woman who was immobile for 15-years from mal-absorption syndrome, restarting toward health after 1 hour of therapy; acute cirrhosis being helped in days, terminal cases experiencing “spontaneous remissions,” and on and on. With the right placement and the properly designed magnet, the magnetic field will enable the injured cells of the injury or condition to take on the proper Zeta potential which supports the body’s normal healing. Do you certify practitioners in correct BioMagnetic use? No, we do not at this time have a certification program, but do work with people directly teaching them. In the future, a certification program will be available. How does BioMagnet Therapy work? All cells in the body and their proper balance are governed by the electromotive forces (ions) of the chemical interactions. These voltage forces or micro-charges [of which the cell membranes are measured in pico Farads] are responsible for cellular transfer of oxygen, nutrients, waste elimination, maintenance of the immune system, and the complete operation of the body. Cells measure an electromotive force known as the Zeta (Negative) potential. Healthy cells have a high Negative Zeta potential and efficiently transport nutrients and waste in and out of the cells. Injured cells measure a low Negative Zeta potential and have inefficient transport ability. When a site is injured and/or the tissue is damaged from trauma or stress (long or short term), the site looses its Zeta (Negative) potential moving toward a Positive state causing swelling resulting in pain because of the cell’s inability to metabolize properly. The lack of Negative energy sends a Positive stress signal to the brain, which in turn sends healing Negative energy to the site for repair. In order for healing to take place [which will relieve the pain and swelling], the Zeta potential must be restored. Proper applications of the Negative energy applied correctly to the injured site can instantly increase the Zeta Potential – which has shown in many cases to give instant pain relief and in most cases within hours. The increased Zeta potential improves oxygen and nutrient transfer as it relaxes capillary walls, surrounding muscle and connective tissues. As the Zeta Potential increases, the cells take on their electromotive vitality (see BIA Test Reports) and start an accelerated trend to correct metabolization for reorganization back to health. What determines the effectiveness of a BioMagnet? The strength and proper field of the magnet to penetrate the stressed tissue and the location of the application to make sure the site is being properly energized down the proper energy (nerve) pathway. Both issues are critical for rapid results. Too many magnet therapy companies either sell improperly designed magnets that use both polar fields (such as necklaces or bracelets or multi-polar pads) or simply state ‘just use their Bio-North pole consistently.’ Again, the wrong polarity location will stress the tissue. Only the correct field on the right location will give rapid and proper results. For the correct applications and therapy protocols, please review BiomagScience Institute’s vast developments and you will understand why practitioners use the Institute’s Biomagnets. The “Conquering Pain” therapy book has specific protocols for over 170 conditions. For example – when the Institute’s protocols were used on the woman in a coma with terminal pancreatitis, the Super BioMagnet was used. The Super BioMagnet is twice as thick and strong as other Rare Earth biomagnets [in the marketplace] and its penetration value was the most critical issue about the therapy. The woman was on a trend to terminate within a day or two – instead she woke up in 3 days and left the hospital 4 days later. She was also given the Meridian Energy therapy to stimulate her entire nervous system to help her body’s cellular communication system work better. All BiomagScience BioMagnets are designed to specifically reach the required A-Z penetration values. After a quarter of a century of development, you can be assured the Institute’s BioMagnets have been designed for the proper penetration values to help the body heal rapidly – whether you have pain, chronic illness or an acute condition. There are BioMagnets with 45 thousand gauss – is that possible? No. These kind of gauss ratings do not exist. They are not scientific. Science has not been able to produce this kind of power. Any company putting out this kind of rating does not know what they are talking about and purchasing from them may be very dangerous to your health. If they do not understand the basic science, how can you trust them or their products? Gauss is the rating of a magnet – what does it mean? Science has always measured gauss (g) as the amount of magnetic lines of force that are emitted from one square centimeter of the polar surface of a magnet. Since the introduction of the new Rare Earth Neodymium Iron Super magnets, there has been a shift in “language” due to the substantially increased power of the new Super Magnets. The new language of gauss is now being determined by the amount of energy inside the magnet which is called its br.coersive (internal) value – the amount of energy it takes to neutralize the magnet. With the advent of the new Rare Earth Neodymium Magnets, the lines of gauss on the surface have gone up substantially from the + 1400g surface, 3950g br.coersive from a high grade ceramic magnet to upwards of 2000g-5000g surface and 12,800g br.coersive internal gauss for a Super magnet. In addition, the Oerstedt measurement (the distance the lines go out from the pole) has gone up dramatically with the new Super magnets. As the thickness of the Rare Earth magnets increases, the depth of its penetration (Oerstedt) value has increased. This is critical in the proper therapy of organs and damaged tissue deep in the body. At the time of this writing, the measurements in Peter Kulish’s “Conquering Pain” book on the Institute’s Super Biomagnets are based on surface measurements – but are +12,800 br.coersive gauss Super magnets. The Institute only carries State-of the-Art Rare Earth BioMagnets. The Institute’s largest Super BioMagnet is twice as powerful as the other Rare Earth biomagnets offered in the Marketplace. It can be held on one side of the body and deflect a compass on the other side. This is extremely important in raising the Zeta potential in deep tissue therapy. One has to be careful what one buys. With many untrained individuals selling powerful, magnetic energy devices – they have started creating their own language and Science. You must be careful because if True Science is not followed, then the magnets and application may also be incorrect. Does gauss rating of a Magnet indicate its effectiveness? No it does not. Due to the fact that many size biomagnets will be made of the same material with the same rating does not mean they will have the same energy and penetration values. The power and depth of the energy penetration of the tissue is determined by the thickness of the magnet. Simply said – a small magnet will have a much smaller penetration value whereas the larger and thicker the magnet, the more powerful it is and the better it will work on deep tissue therapys. The BiomagScience Institute BioMagnets were developed in three major sizes. The Power Wafer is a small, easy to use dime-sized BioMagnet which is often used in a stack of 2 with a band aid between them and then applied to the skin for easy application. Its frequencies (power) were specifically designed for most aches and pains and to energize the entire body with the Daytime therapy found in the “Conquering Pain” therapy book. The Regular [middle sized] Wafers were designed for acute pain and the Meridian Energizing therapy used to stimulate the nervous system to help the body to overcome acute and advanced illness ( in the “Conquering Pain” book). The Regular BioMagnet has a power value that is as strong as the best and most powerful biomagnets in the market place. The Super [large] Biomagnet is a specially designed, ultra powerful biomagnet which is uncommon in the marketplace. It was developed for very deep tissue and organ therapy. It is powerful enough to deflect a compass from one side of the body to the other. 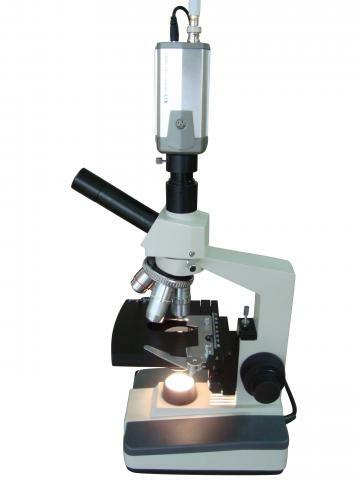 Anyone studying BiomagScience’s blood microscopy and BIA (electromotive membrane) testing, research studies and testimonials – will realize that the proper design and use of the Institute’s BioMagnetic systems have continuously shown remarkable results with many conditions. Reports of terminal conditions that were supported by the Institute’s advanced therapies are now thriving. An example of proper placement is the case study of a man who crushed both leg bones which healed without pain and was walking within several months instead of the normal prognosis of almost a year – the BioMagnets were placed on the anterior of one leg and the posterior of the other. For proper placement – See “Conquering Pain” therapy book. Please realize that MagnetoBioPhysics / BioMagnetism is a Science and a very specialized, exacting technology. You can depend on the Institute’s 26 years of developing the proper BioMagnetic strength [for proper applications] and the exacting basic and advanced protocols which are scientifically based on the physiology and correct energy pathways of the body. By immediately increasing the Negative Zeta potential by the proper biomagnetic application, the cell’s capillaries relax and blood flow / oxygen / nutrient / waste (toxins) transfer efficiently resulting in accelerated reduction of swelling and pain. The Negative energy is the body’s natural healing energy. Amplifying that energy in the correct application simply accelerates the body’s own natural healing ability. Advanced therapies such as the Vortex Initiation Healing therapy, which has shown to start the healing of bones, nerves, sockets, etc.